Seats 60; L&D served daily, 12-5, 5.30-10.30pm; 1/2/3 course set L with a glass of wine €18.95/21.95/26.95, pre-theatre D 5.30-7pm, 2/3 courses with a glass of wine €27.95/32.95, also a la carte; house wine from €22. Children welcome. Closed 25/26 Dec, 31 Dec, 1 Jan, Good Friday, 17 Mar. MasterCard, Visa. 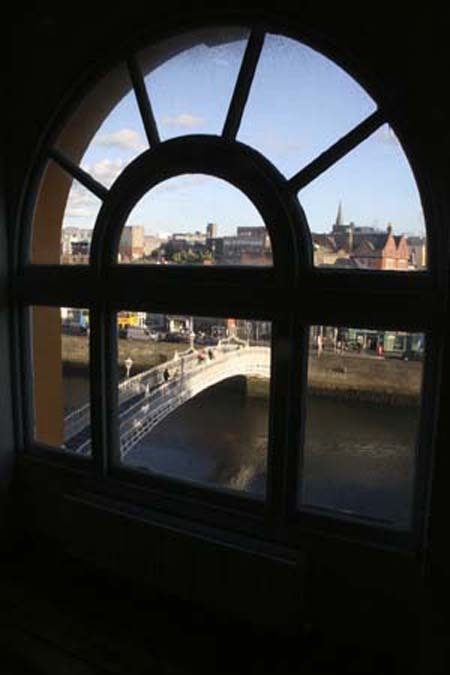 This much-loved café and bookshop overlooking the Ha'penny Bridge re-opened in 2006 after a long closure and, to everybody's delight, it has turned out to be better than ever. 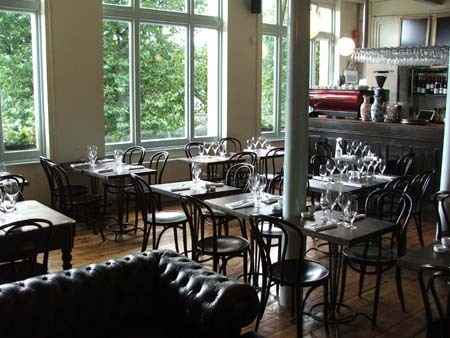 Although now a proper restaurant with gleaming wine glasses and a fine new La Marzocco coffee machine, something of the old café atmosphere was carefully maintained and can still be found in the wooden floorboards, bentwood chairs and simple tables. There is a suitable amount of memorabilia from the cafe's hey days in the form of yellowing photographs and heaving bookshelves, and the view of the river and bridge continues to be one of the most atmospheric in town. General manager Elaine Murphy's strong vision for the reincarnation has happily held firm through various changes of head chef. Expect plenty of 'the organic and real' on menus that include superb signature starters such as an Irish charcuterie plate (Connemara dry cured lamb and beef, salamis from the Gubbeen smokehouse in County Cork, accompanied by home made chutney & capers), and main dishes including outstanding renditions of classics such as bacon and cabbage with parsley sauce. 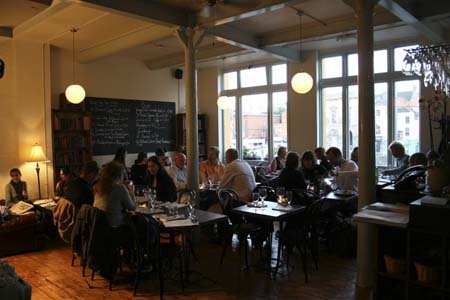 To finish, there's an excellent Irish farmhouse cheese selection and delicious seasonal desserts which, like the rest of the menu, are very fairly priced. 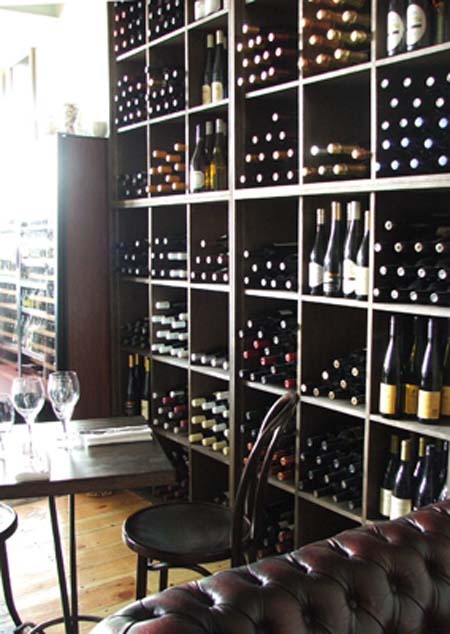 Tim Sacklin's unusually interesting wine list, sourced from a variety of quality suppliers, is a pleasure to explore but should you wish to keep things simple, a blackboard with wines of the week offers a more focused choice. The Winding Stair is that rarity among Dublin restaurants (indeed Irish restaurants), serving simple, high quality food, and it has a lovely ambience. Aided by nostalgia, it also has loads of personality and has earned a loyal following - book a window table for a view of the river. On the north quays, beside the Ha'penny bridge.